Delayed gratification doesn't sell. In an effort to get ahead, tech companies (social media platforms, in particular) are in a race to feed our instant gratification appetites. Want that item? Get online and order it, it will arrive in just a few days. Wait, no, order it directly from the app. Wait, even better, tell Siri, Alexa or "Ok Google" to order it for you! Ahh, yes, progress. Where does it stop? At what point are things convenient enough? Will simple tasks in life ever cross the line into the "too convenient" realm? It seems there are plenty of companies dedicated to getting us there. Gone soon will be the days of putting in the work and respecting the process. As a competitive swimmer, I find that appalling. I trained six days a week through complete muscle failure and pain to drop fractions of a second in a race at the end of the year. Please don't talk to me about shortcuts. "You can either discipline yourself, or someone/something else will." I cannot think of an example where that maxim does not apply. Self discipline is the common denominator that separates the successful from the rest. Where self discipline is applied, instant gratification is denied for a long-term benefit. It takes a tremendous amount of self discipline to succeed in sports. Every sport has its grind: early mornings, long runs, grueling conditioning, and the mental aspects of staying positive. It is way easier to quit, and instantly get gratification from the free time...or to eat that junk food. I know, because I thought about quitting every day for my first four months of swimming. I'm so glad I didn't. 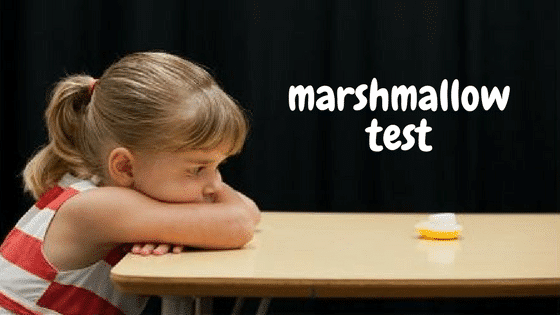 Professor Walter Mischel of Columbia University conducted the Marshmallow experiment in the 1960's at a daycare center at Stanford University. In a nutshell, the test worked like this: A child is put in a room at a table, alone. An adult walks in and places a single marshmallow on a plate in front of the child. They tell the child something like "I will be back soon. If you do not eat this marshmallow, when I get back I might give you another marshmallow. If you do eat this marshmallow, you will not receive another." The adult leaves the room, and the child--on camera--is left by themselves for an extended period of time (20 minutes or so). The child, when facing a temptation within easy reach, is in quite a dilemma. Instant gratification (eat the marshmallow now! ), or the potential of a bigger reward in the future by demonstrating self discipline and delayed gratification. As it turns out, Professor Mischel and his team followed up with the subjects over the course of many decades, and noticed a direct correlation between their self discipline and success. Delayed gratification, it turns out, is an indicator of long term success. We can learn self discipline and self control. They are choices. But let's make it more practical to our world as adults. Studies show an astounding percentage of adults have zero dollars in retirement savings. $0.00!. A majority (~78%) of Americans live paycheck to paycheck. 63% of Americans don't even have enough savings to cover a $500 emergency. The concept of saving money is exactly the same thought process as not eating the marshmallow. It's delayed gratification for a potentially larger reward at some point in the future. But saving money takes self discipline, and denying yourself instant gratification in a world flooded with instant gratification. What does all this have to do with swimming pools? To be honest, this topic has been on my mind for a long time, and I felt the need to put it in writing. It was not originally about the pool business, but the topic directly applies to the pool business. For example, are we winterizing pools with the long-term benefit in mind? Or are we going through the motions as quickly and affordably as possible, and we'll deal with the future in the future? 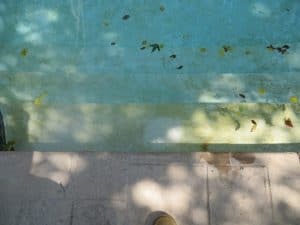 Are we treating the pool for its needs that day, or are we treating it for it's needs long-term? My opinions do not necessarily reflect those of Orenda or of the greater pool industry. An example of this is my opinion on peeing in the pool. That said, Orenda's values align with mine. You have probably heard us talk about more meaningful pool care. I credit that phrase from my favorite lifestyle blog, The Minimalists. It's appropriate for us at Orenda because we genuinely believe in more meaningful pool care.  We, as a company, are minimalists; we want better results with less. Less waste, less chemicals, less aggressive water and less problems. When we remove the unnecessary, we are left with everything that remains. To us, everything that remains is meaningful. It's meaningful practices and products, meaningful tasks and purpose. I wrote this article to encourage all of us to play the long game. Resist instant gratification, like using acid to clean a pool surface. Instead, provide more meaningful pool care for your customers and respect the process. There are no shortcuts to having great water quality and air quality. We encourage pool people to think years ahead when they're treating a pool. Is continual use of Trichlor really a good idea, considering what cyanuric acid does to ORP? How about using metal-based products, knowing they will eventually stain, and their residual stays in the water and has long-term health effects on people? Don't fight symptoms. Diagnose the real problem, and address it with a long-term strategy. It's way better in the long run.